Oh, the dandelions! One of our earliest flowers and one of the last to hang on at the end of the season, dandelions (Taraxacum spp.) are with us for most of the year here in New England. They’re cosmopolitan, human-following plants, found all over the world. They’re weeds – that is to say, resilient and adaptable plants whose virtures most people don’t recognize. Herbalists, though, we love dandelions! They’re a great medicine and a lasting inspiration, all together. Let’s start with the root. Dandelion root is a safe and effective liver stimulant. It increases bile flow and hepatocyte activity. This helps you “detox”, but we’re not talking about a “cleanse” here. 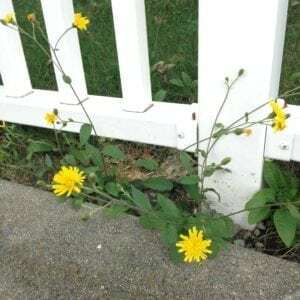 Dandelion works steadily and gently, not in a forceful, overriding way – it keeps the waste drainage running smoothly, so you clear out what needs to be disposed of. Improving liver function has effects that show up all throughout the body – it can reduce rashes, improve skin presentation, and reduce constipation. It also helps with hormonal balance, because some of the “waste” the liver has to process is in fact excess hormones which need to be eliminated, so dandelion can even help with PCOS and PMS. 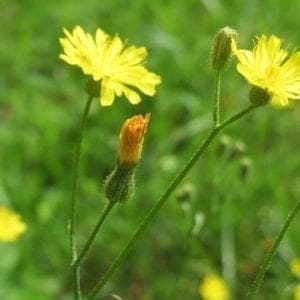 Dandelion root is good in a decoction (2-4 cups per day) or tincture (1-4 droppersful, 3 times per day). It works even better when combined with other herbs. Here we combine protective and stimulating effects, focused on the liver. You can find step-by-step instructions for how to make these simple herbal remedies in our book. We used measurements and everything! It’s easy as can be. Dandelion is a classic spring tonic herb, with what herbalists call an “alterative” action. This means it improves the quality of the circulating fluids, and in the case of #dandelion, it does this in several ways. We’ve already mentioned the liver effects of the root, so today let’s focus on the leaves and their kidney-supporting actions. Dandelion leaf is diuretic and kidney-supportive, and quite mineral-rich as well. Though it increases urination and therefore does cause some mineral loss, it provides enough potassium, calcium, and other minerals to replace what is excreted – and then some! So, the net effect is #nutritive. You can just eat dandelion greens as food, you know! They add a lovely bitter note to a wild salad. 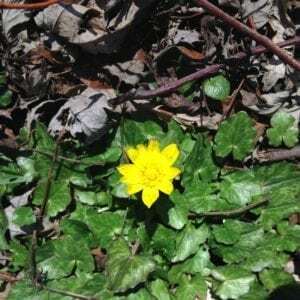 This herb is particularly helpful for chronic stagnant conditions, where the quality of the blood needs improving AND the fluid quantity in the system is excessive. 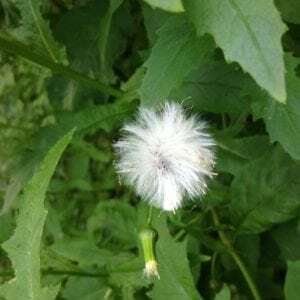 The draining, drying effect of dandelion leaf is very useful to counter the high blood pressure which comes with damp boggy conditions like edema. 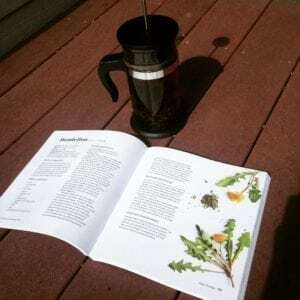 Here’s another quick recipe from our book, featuring dandelion leaf: Steady Cycle Tea. Combine all ingredients and make a long infusion: using 2-3 Tbsp of herbs per quart of water, pour boiling water on herbs in a mason jar, close it up, and let it infuse overnight. Drink this quart of tea over the course of the next day. Set up a fresh one each evening, and stick with the habit for a few weeks. Feel free to add ginger, peppermint, betony, or other herbal allies to adjust effects as desired (this one pictured has a bit of calendula). So far as I can tell, dandelion flower is a rather under-appreciated remedy. It’s one of my personal favorites, though! A tincture of the dandelion flower is an #exhilarant: it lifts your spirits and elevates your mood. (I really wouldn’t use the term “antidepressant” for it, though, due to all the pharmaceutical/pathological/neurotransmitter-centric connotations that term has for people in our culture.) As a bright, yellow, sunny herb, dandelion flower can be particularly helpful in the dull grey months of winter – it really helps me get through the February doldrums. Make some now so you’re ready when they arrive! But dandelion flower is a good ally whenever you feel like everything’s cold and clouded-over, no matter the time of year. 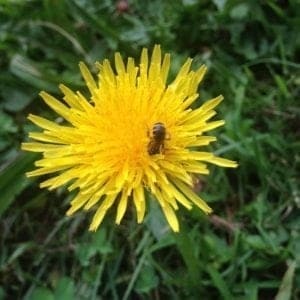 Dandelion flowers can be eaten just as they are, and are great when added to salads along with the greens. They can be infused into honey, which just nearly glows when it’s done, and are a fantastic ingredient in an herbal elixir. When you strain them out, fry those honeyed heads into sweet fritters! And of course, there’s also dandelion wine, made from the flower heads (carefully removing the green bits beneath), sugar, and yeast in a simple home fermentation. As you can see, dandelion is helpful in all its parts – roots, leaves, flowers… even the stem, actually. The “latex” inside the stems can fight warts – though admittedly, very slowly, and it requires diligent repeated applications. But hey, if it’s what you’ve got, and you’ve got some time – give it a try! That speaks to an important ethic in herbalism: work with what you have. We believe you never need to look across the world for a remedy; there’s probably one just as good right here in your own back yard. There’s always another herb. We made an effort to emphasize this with our book, Herbal Medicine for Beginners. We constrained ourselves to profiling only 35 plants, and every remedy in the book is put together from only that palette. This helps you understand how each herb can do many things, and reduces the tendency to pigeon-hole your plants. 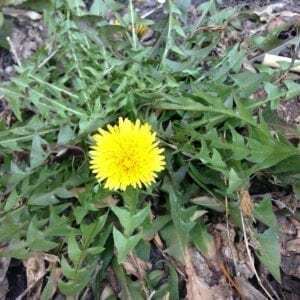 Dandelion turns up in remedies for acne, constipation, detoxing, eczema, endometriosis, kidney stones, PCOS, PMS, rashes… and there’s surely more we could have included! It’s often the gentle, weedy, common herbs that show the greatest versatility and adaptability. The humble, radical, irrepressible dandelion is an archetype for these allies. So when you need a swiss army knife rather than a scalpel, think like a dandelion! Here are a few we’ve run into around Boston. 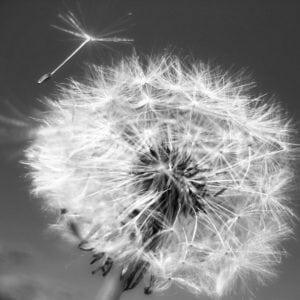 Here’s a great dandelion vs cat’s ear photoessay from Angelyn Whitmeyer . Apply the process here to these other herbs and you’ll be all set. Here’s Whitmeyer on cat’s ear and hawkweed. 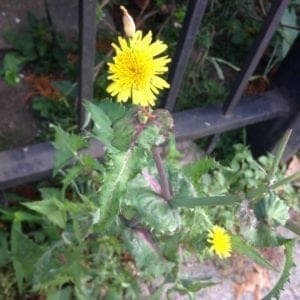 The flowers look a bit similar, but the leaves are toothed differently, and wild lettuce is a lot bigger than dandelion. This is a common city weed, though, so you’ll see it frequently. Errata: There is no Lactuca spinosa. I admit it, I put that in our book. I figure I was projecting serriola onto virosa and orthographically slurred them together there, and didn’t catch the mistake on any of the reviews, all the way through to print. (I’m not sure where the ‘pin’ in the middle came from, except maybe that I was thinking of the philosopher Spinoza?) I comfort myself by remembering I’m not the only one who makes this mistake. The name as a unit seems to come originally from the taxonomist Lamarck, who designated a species as Lactuca spinosa in 1792 which is now known as Launaea spinosa or Launaea lanifera. Anyway, mea culpa. Well, if you saw this, you’d be in the woods, so that’s the first clue. Dandelions like fields and edges, but don’t venture into the forest. This one only vaguely looks like dandelion when it’s puffed out into capsules with wispy threads. By then, though, it’s tall & many-branched, so it’s hard to mistake for dandelion. PS: We have a full video + text herbal monograph on dandelion (and 86 other herbs) in our Materia Medica course, which you can take stand-alone or as a component of our Herbalism 101 program.